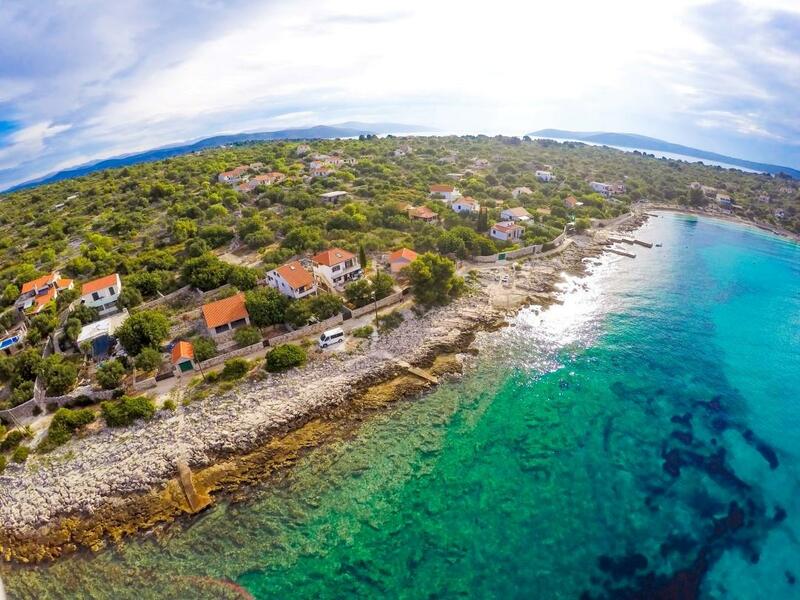 Experience the charm of the Mediterranean island of Drvenik Mali. 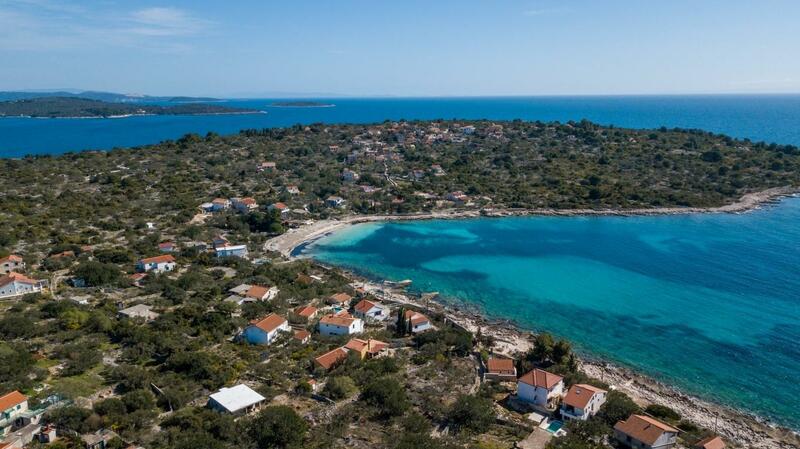 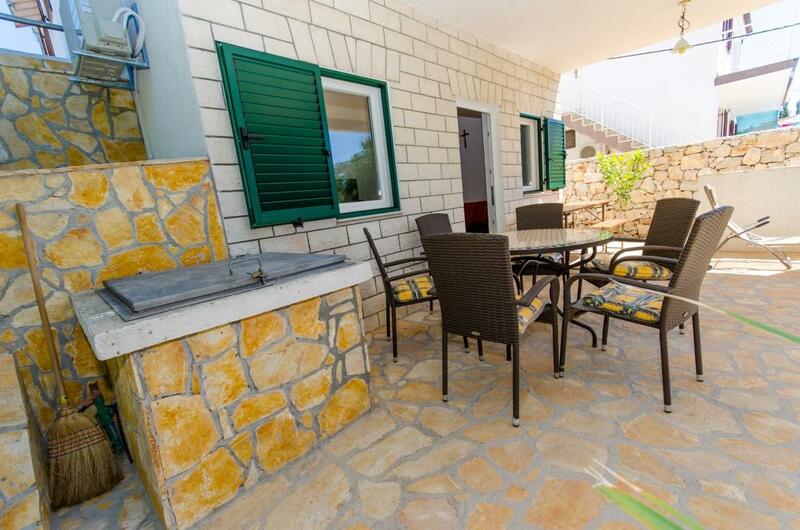 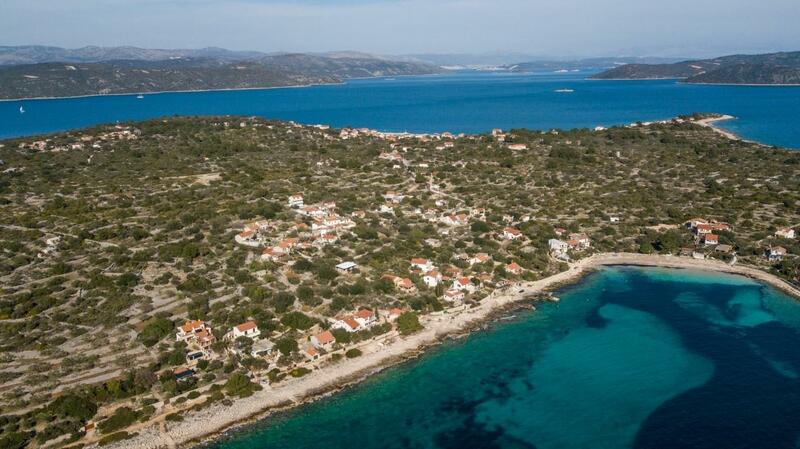 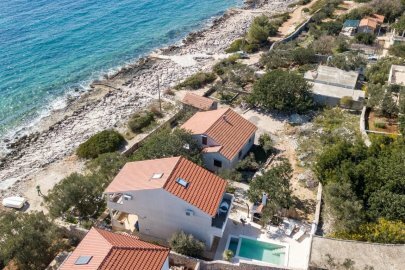 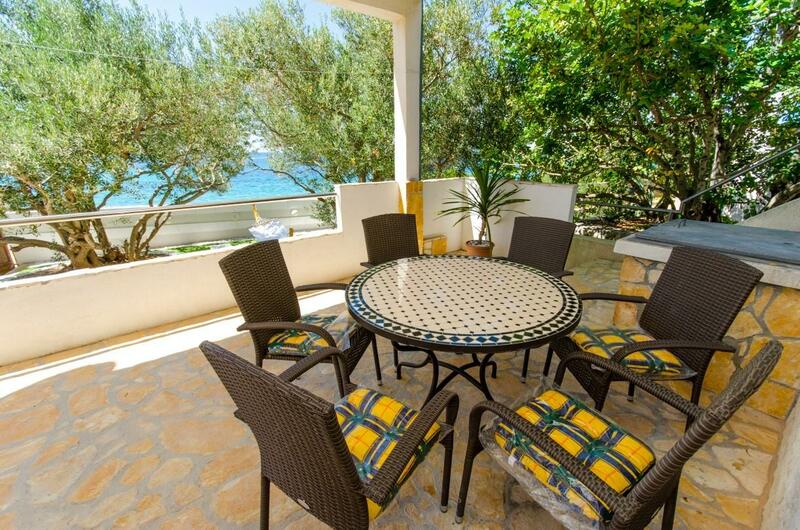 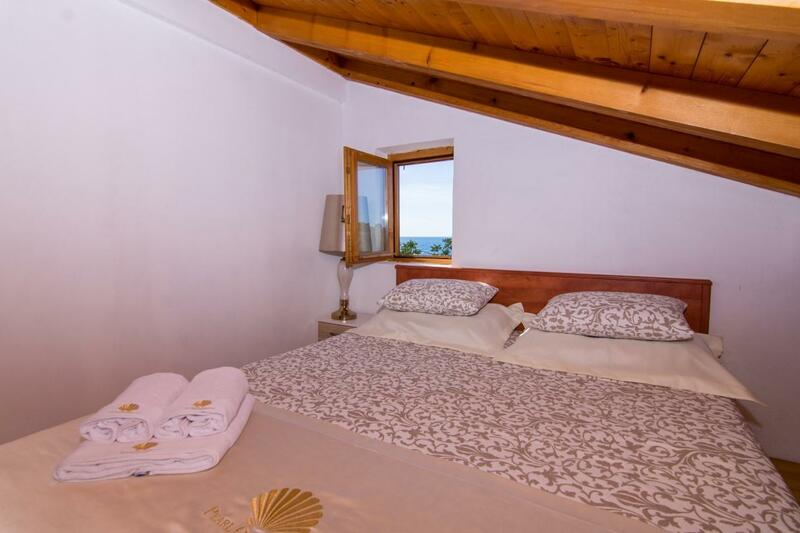 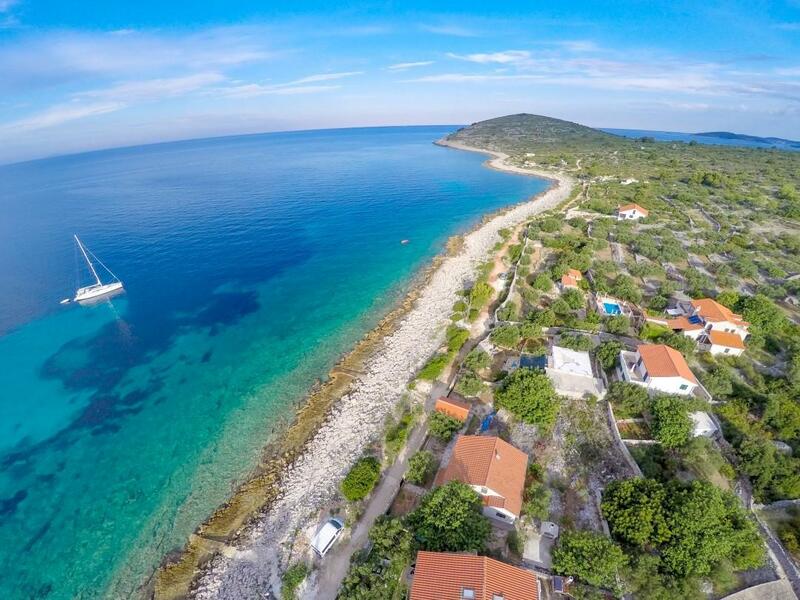 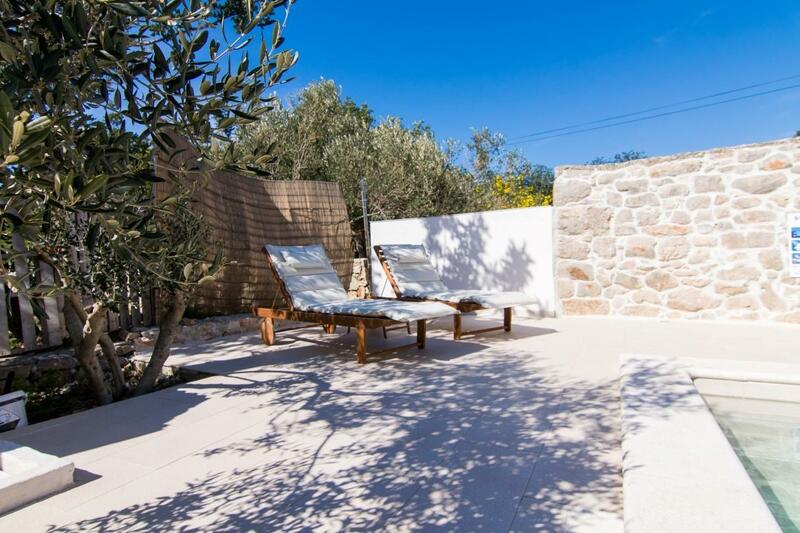 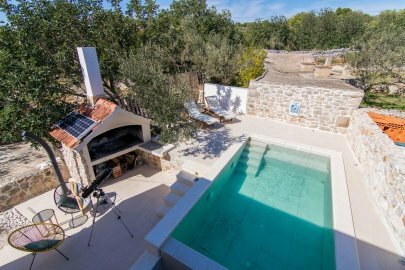 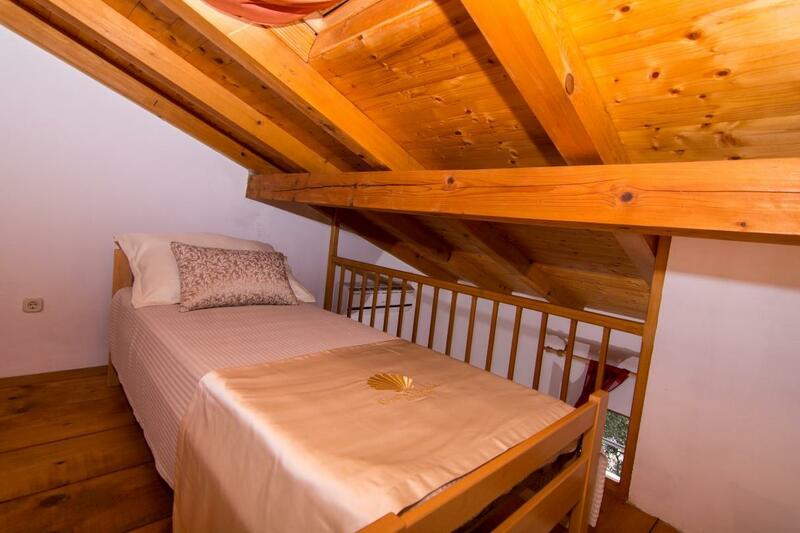 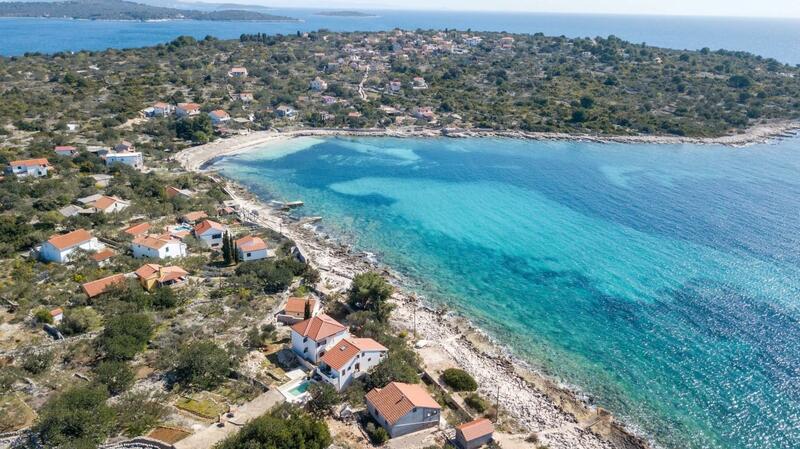 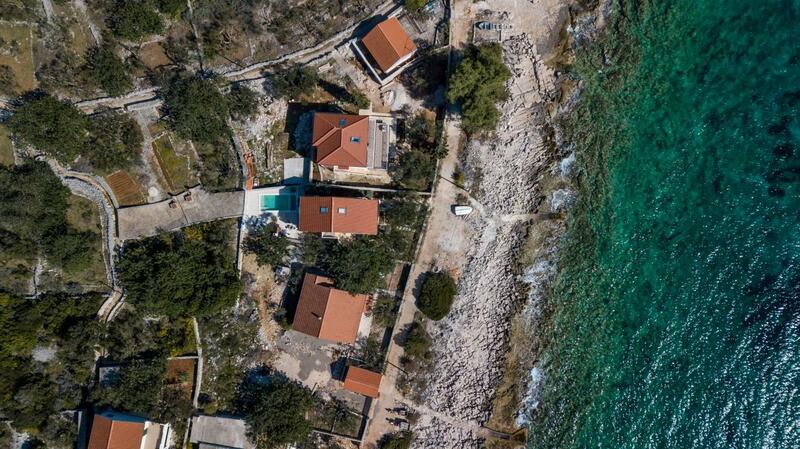 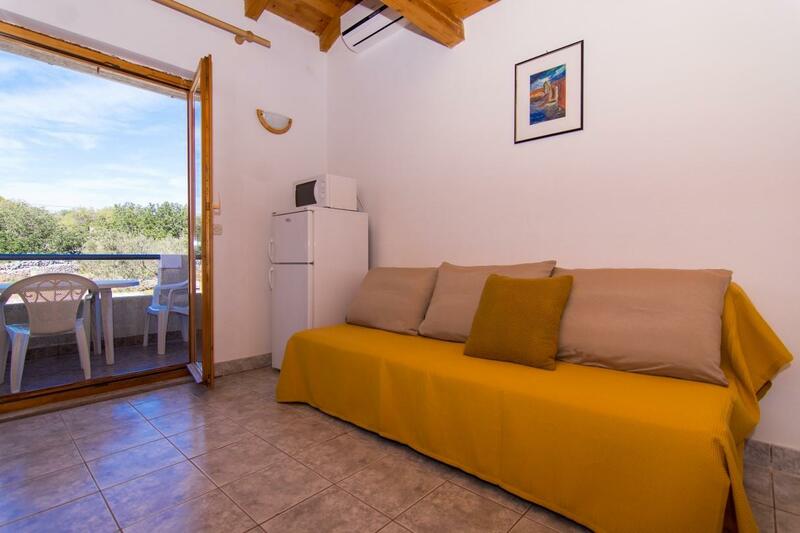 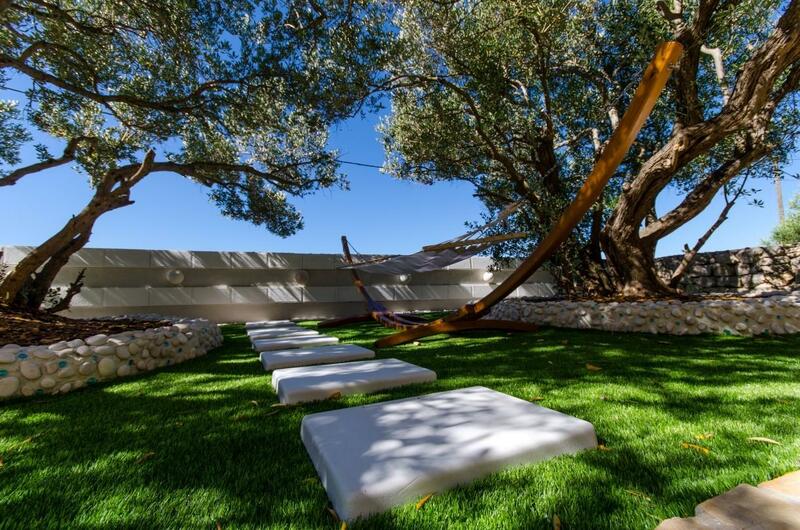 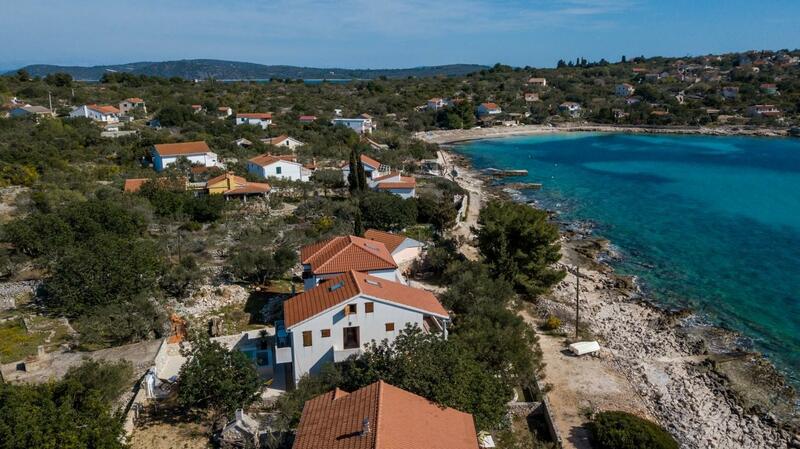 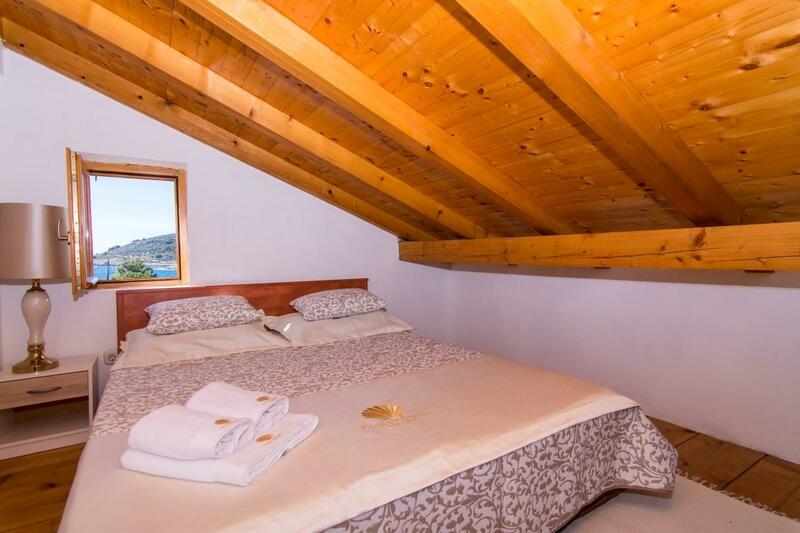 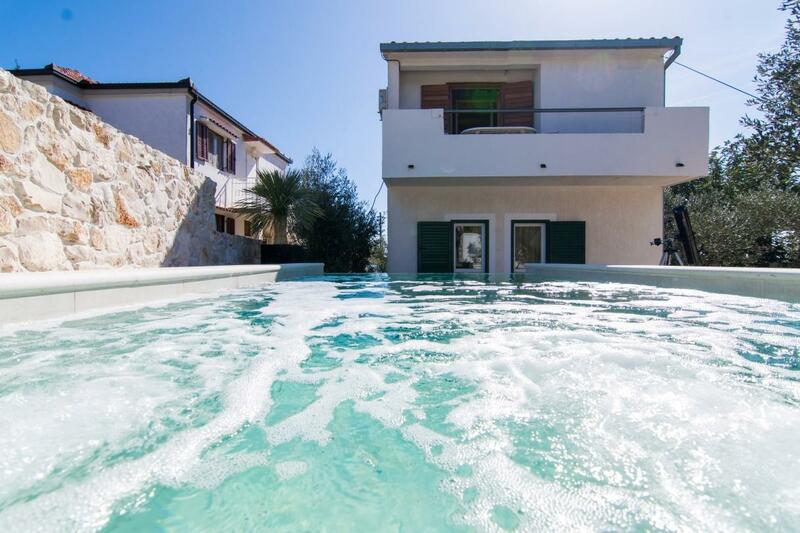 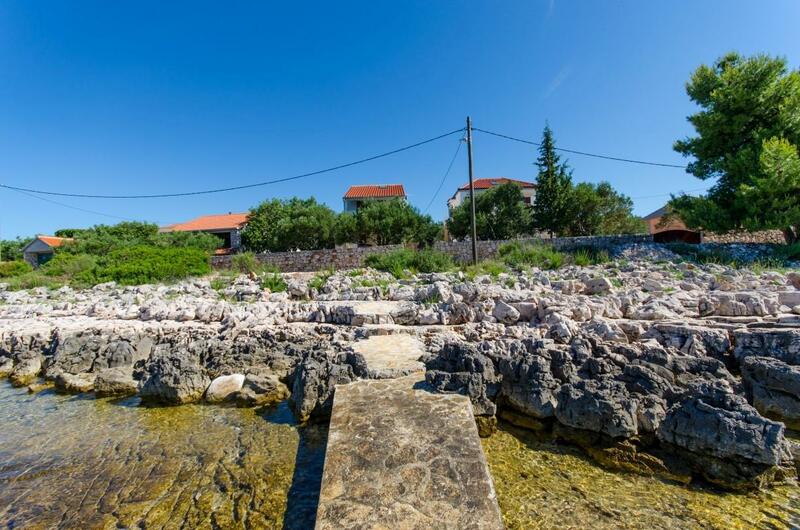 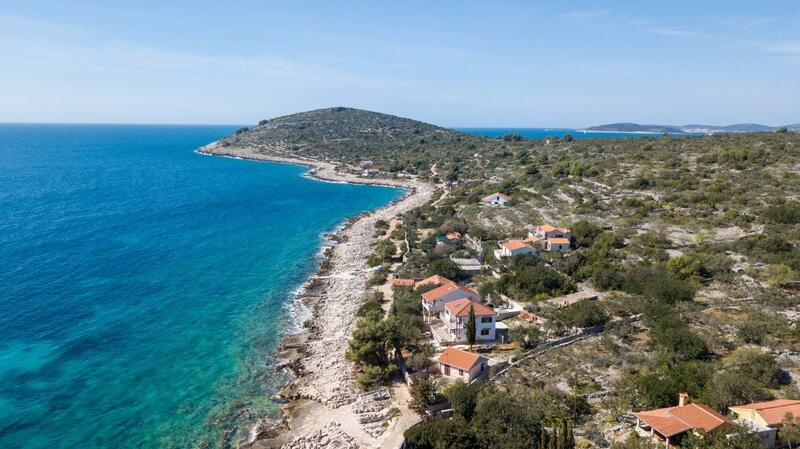 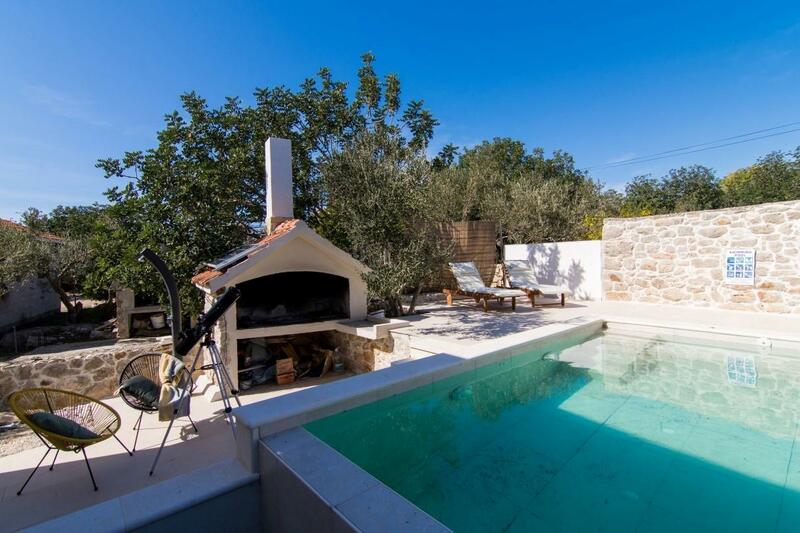 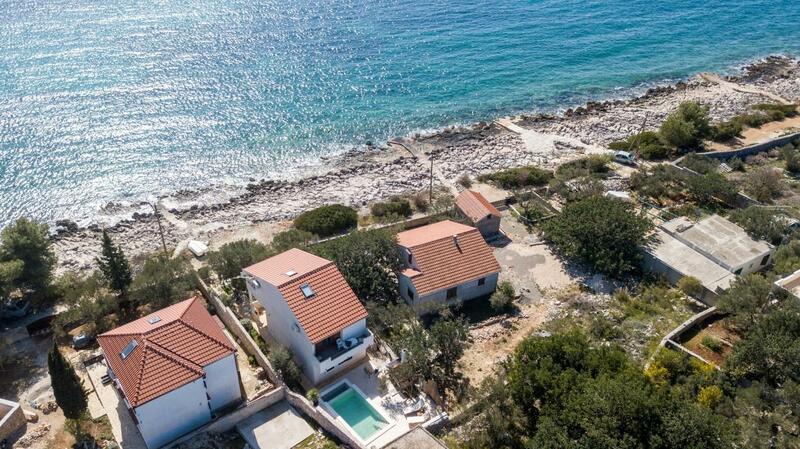 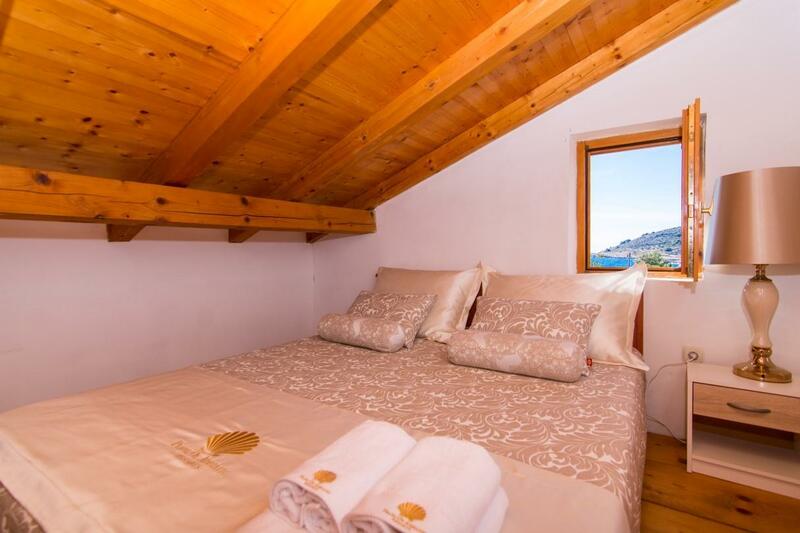 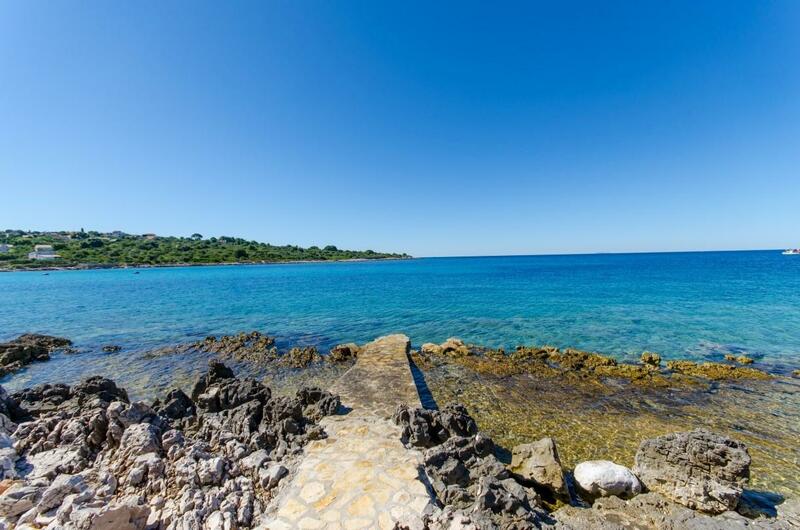 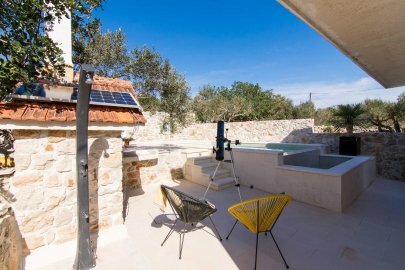 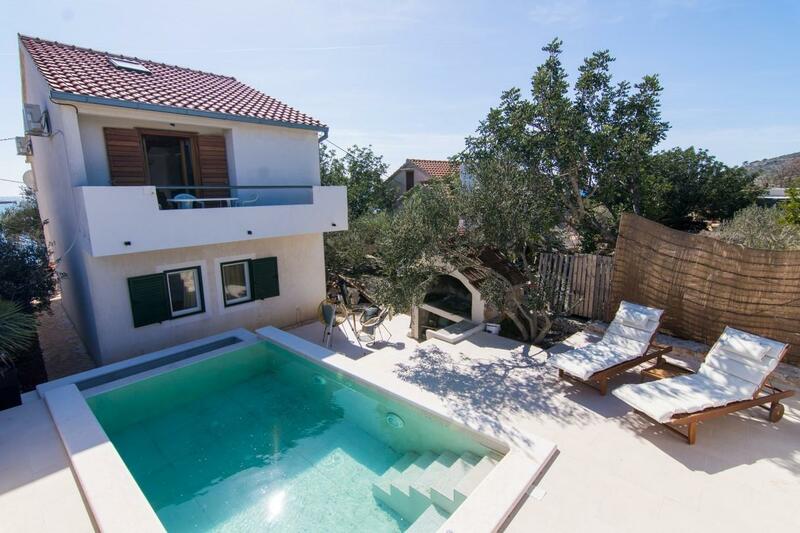 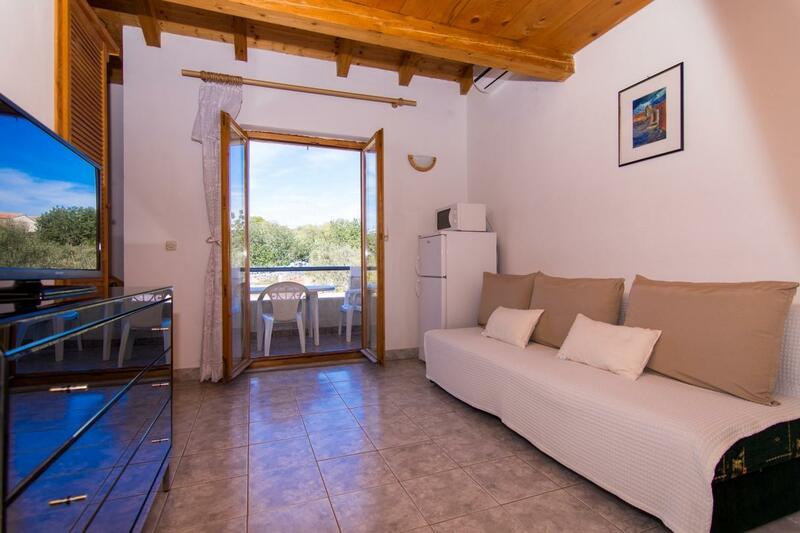 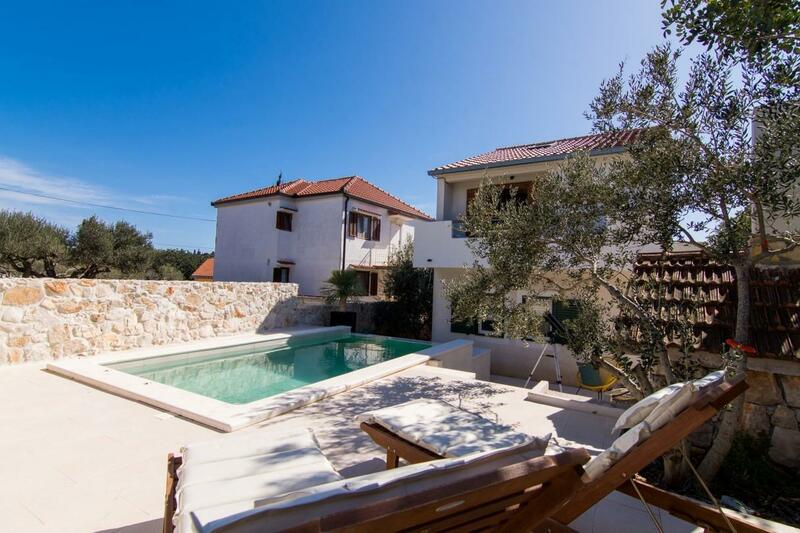 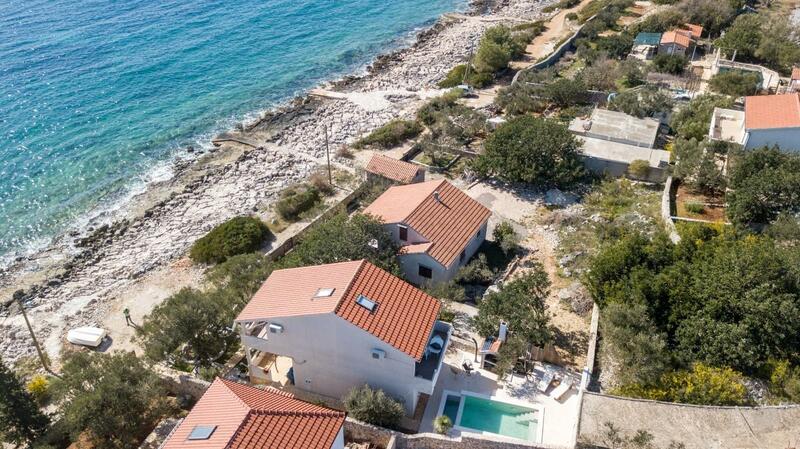 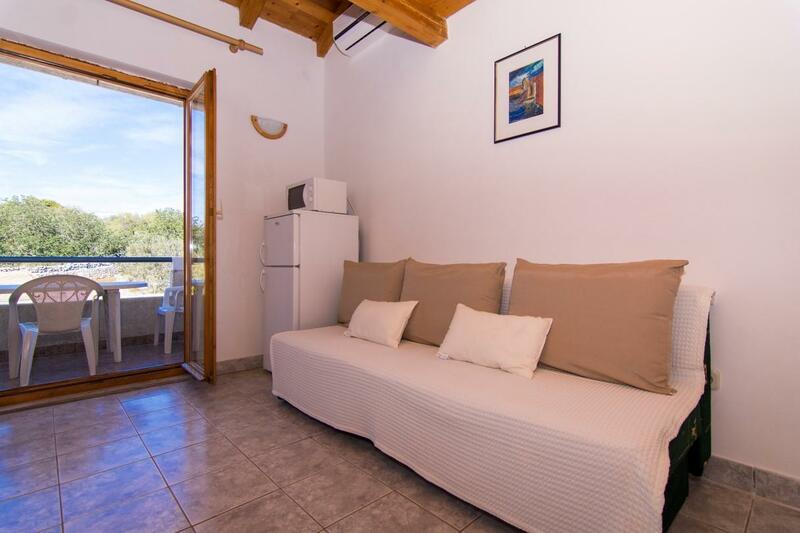 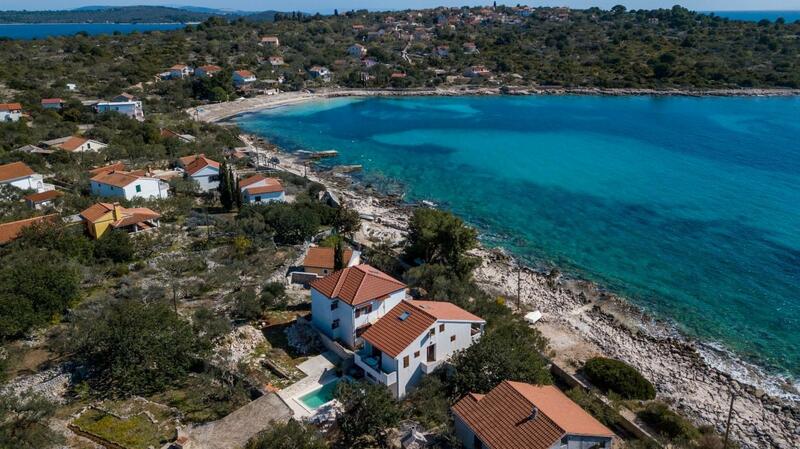 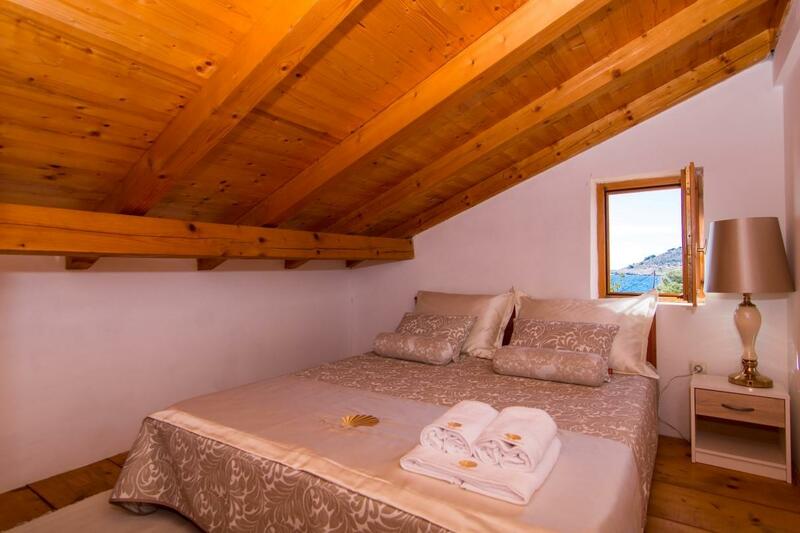 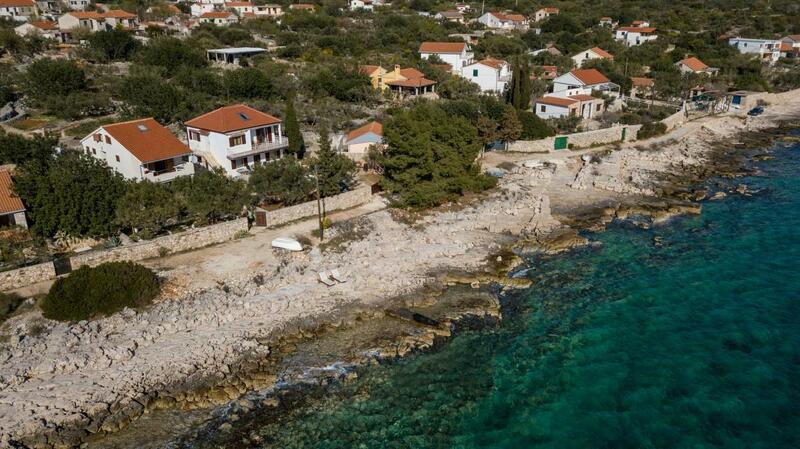 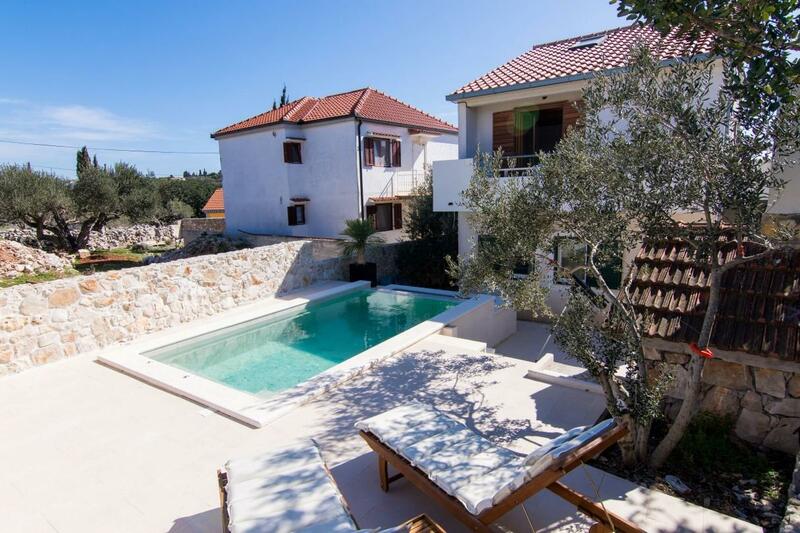 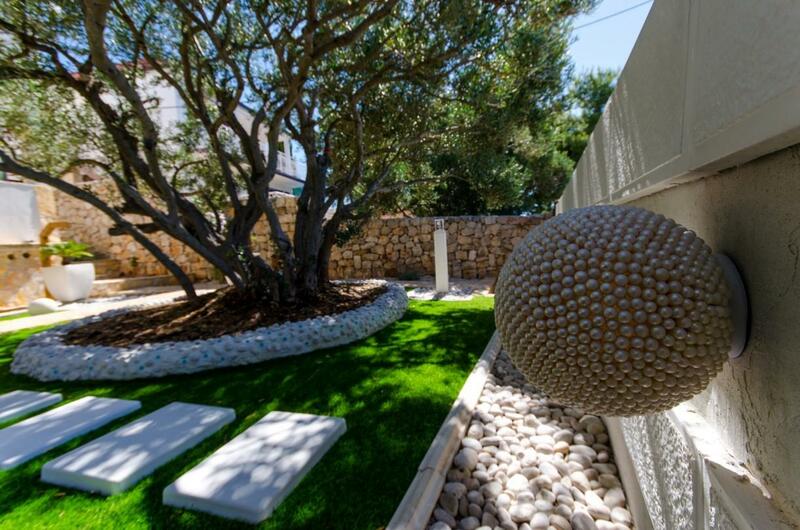 If you want peaceful vacation right next to the beach, then villa Pearl of Adriatic is the ideal choice for you. 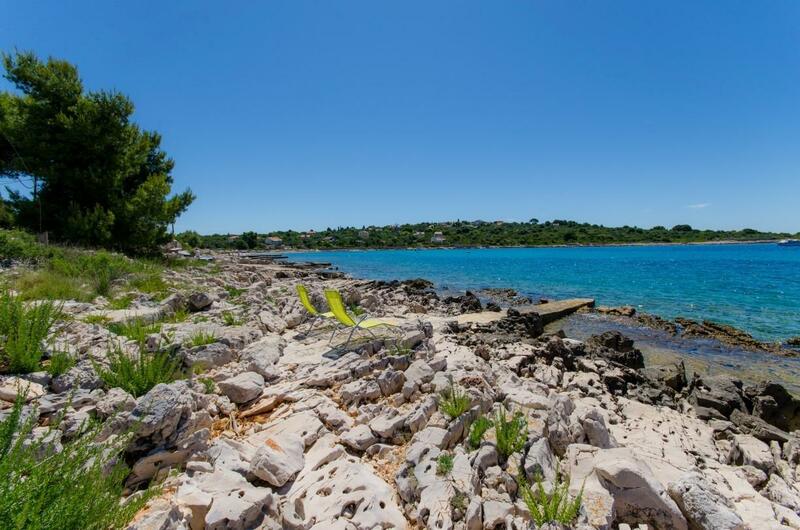 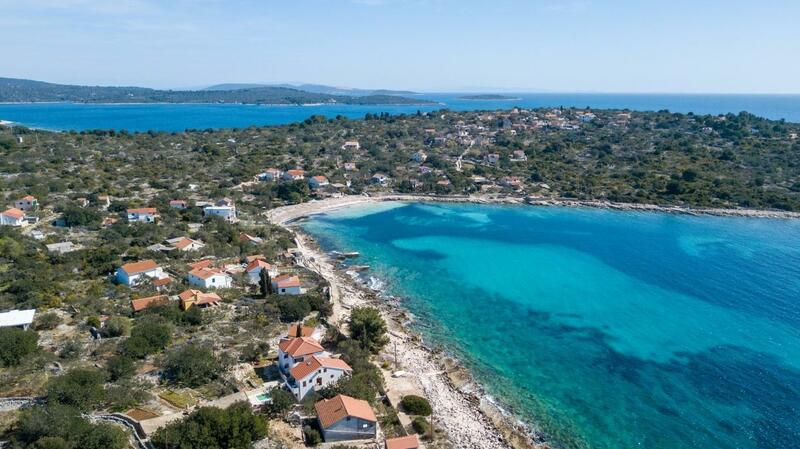 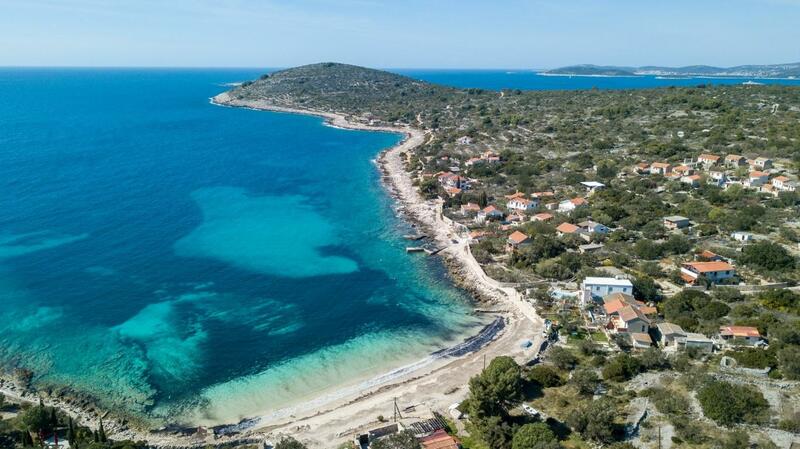 The small island Drvenik Mali abounds with beautiful beaches and a clean sea as well as olive groves and top quality rogues. 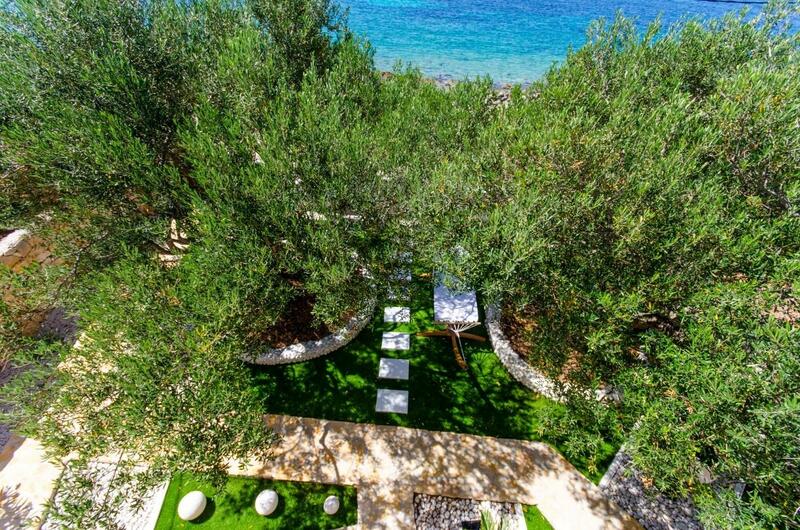 The island is ideal as an escape from civilization because it is surrounded by untouched nature and healing Mediterranean herbs. 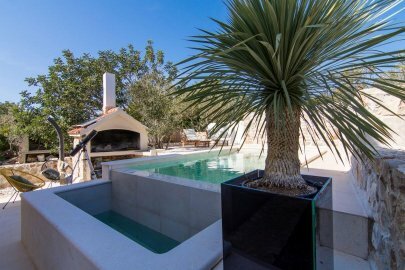 The villa with its 145 m2 consists of 3 separate units each with a separate entrance so that guests can have privacy and peace. 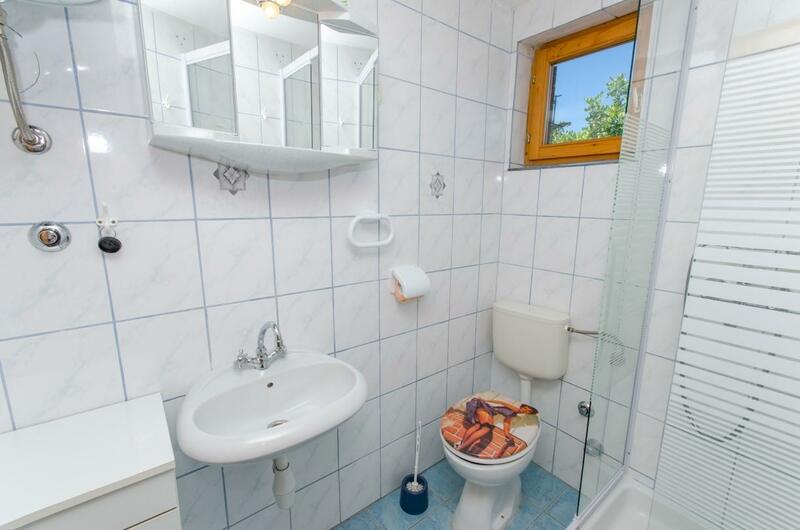 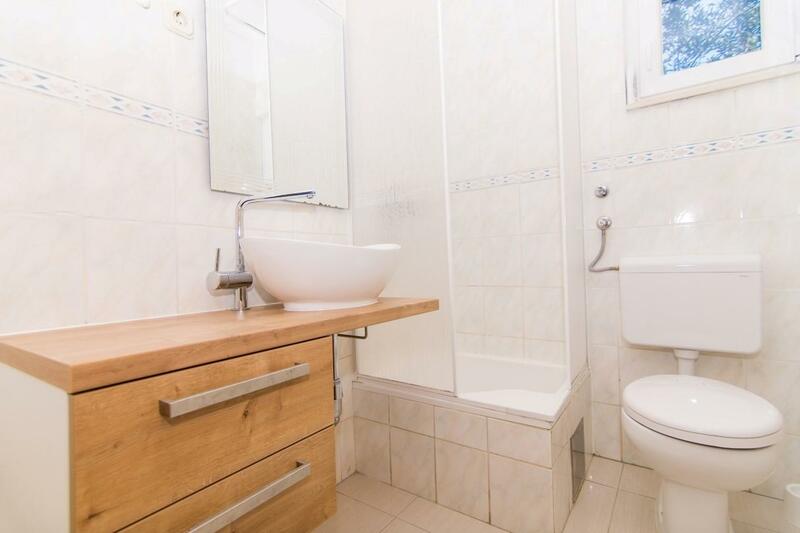 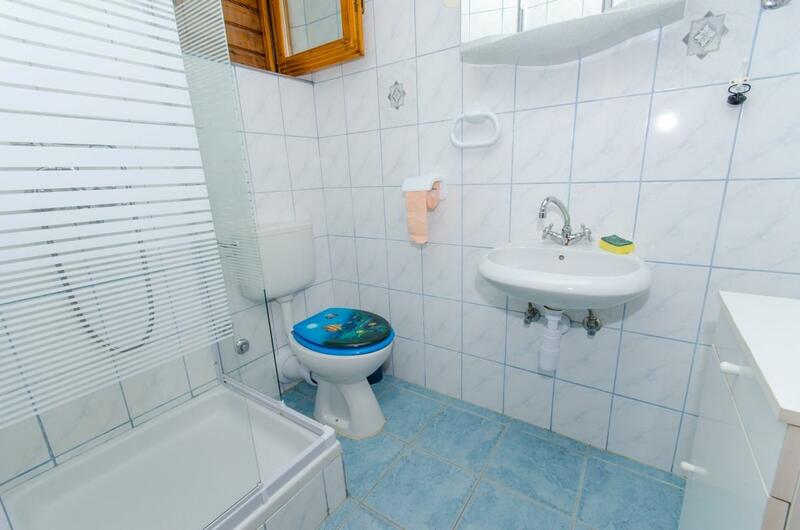 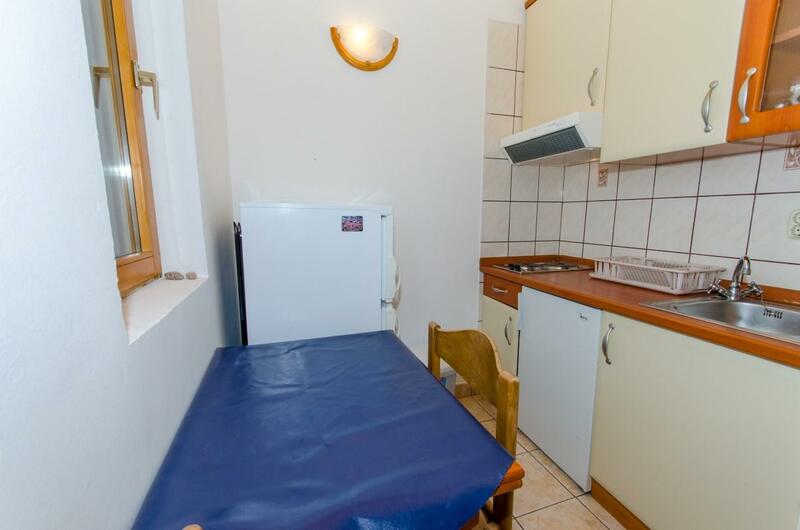 Each unit includes a kitchen, living room and a bathroom. 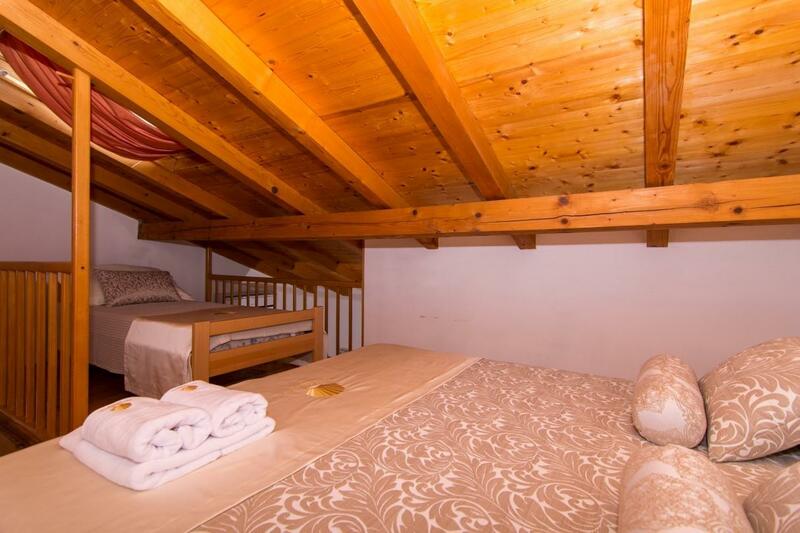 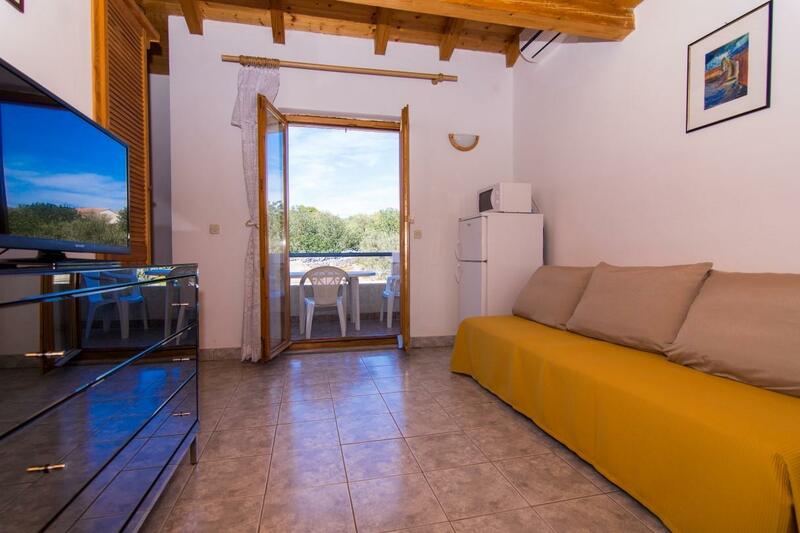 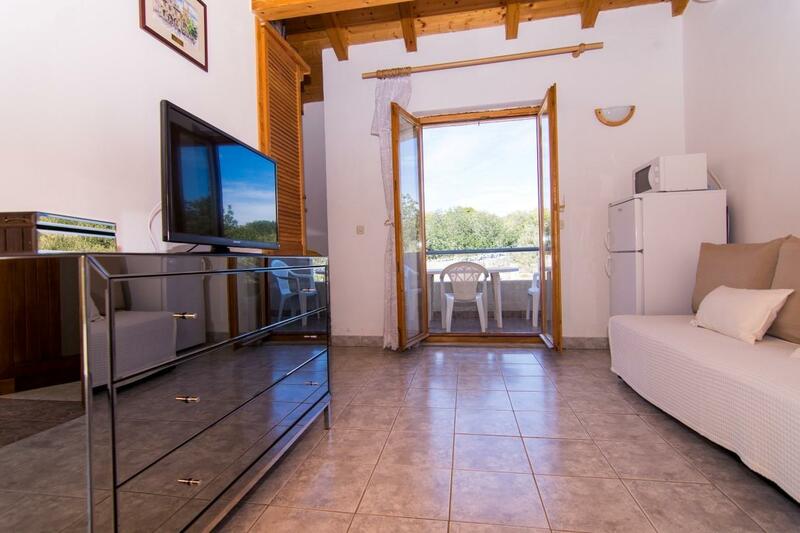 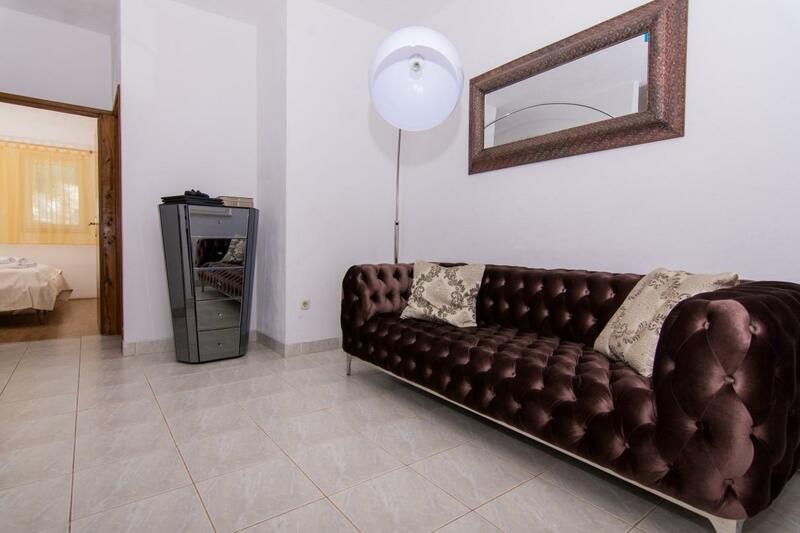 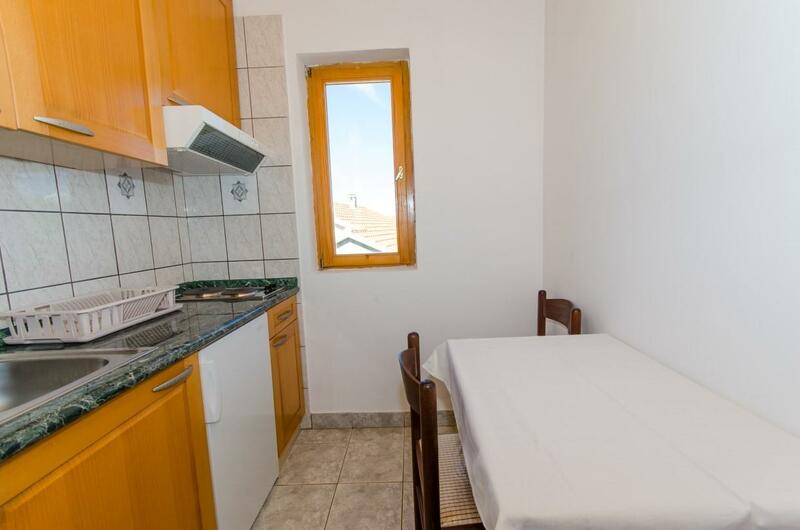 The first unit has two bedrooms while the second and third units have 1 double bedroom with extra bed for 1 person. 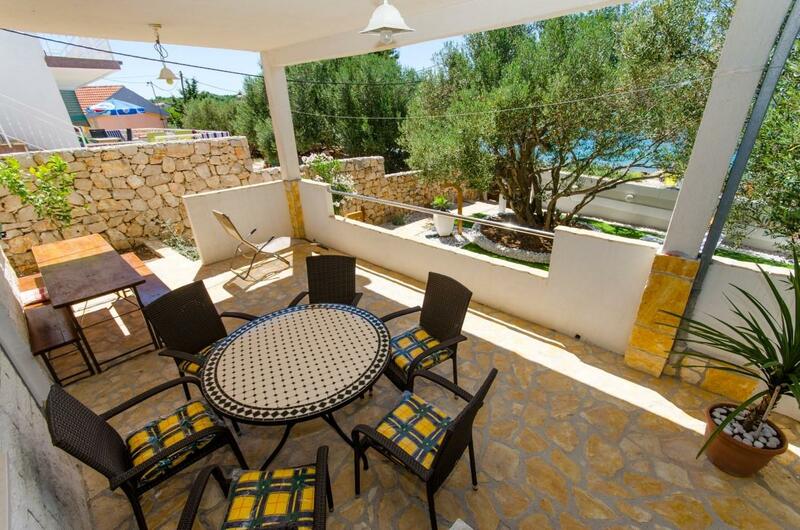 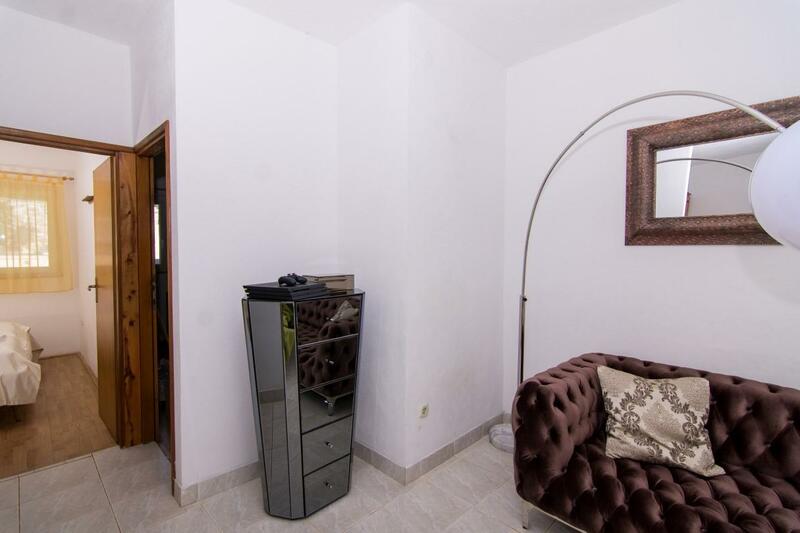 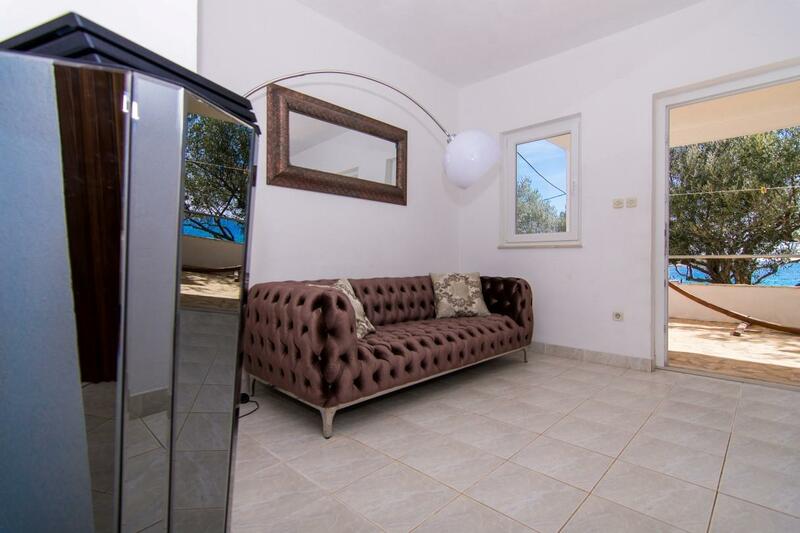 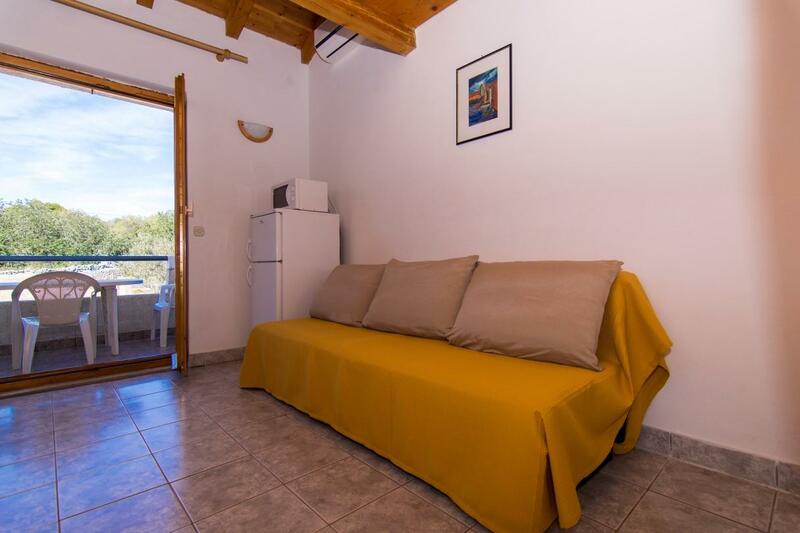 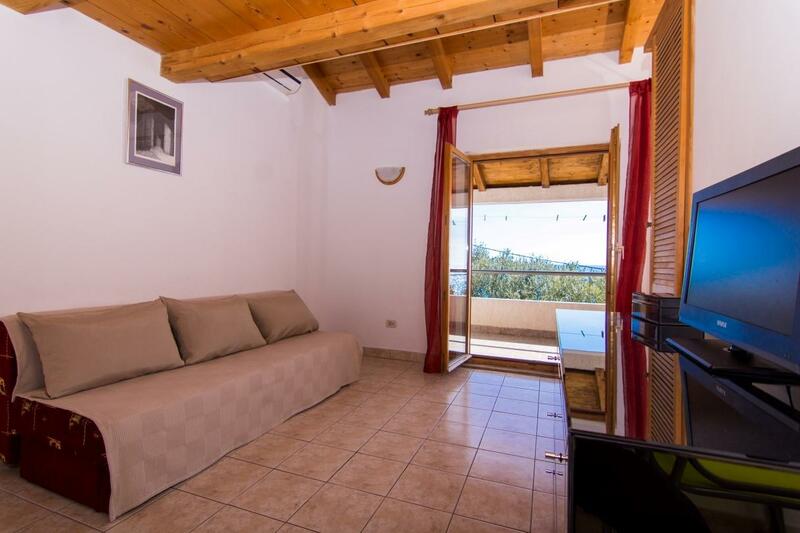 The villa can accommodate up to 11 guests. Guests use water from the natural source of a well which gives the villa a special charm. 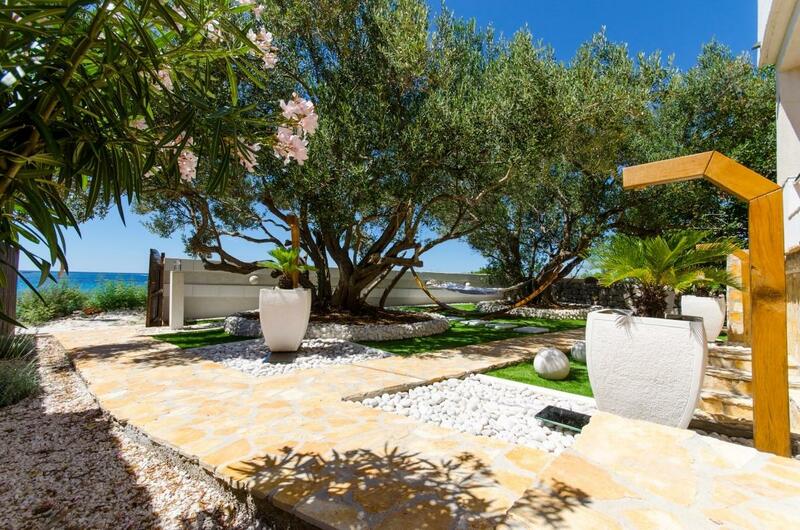 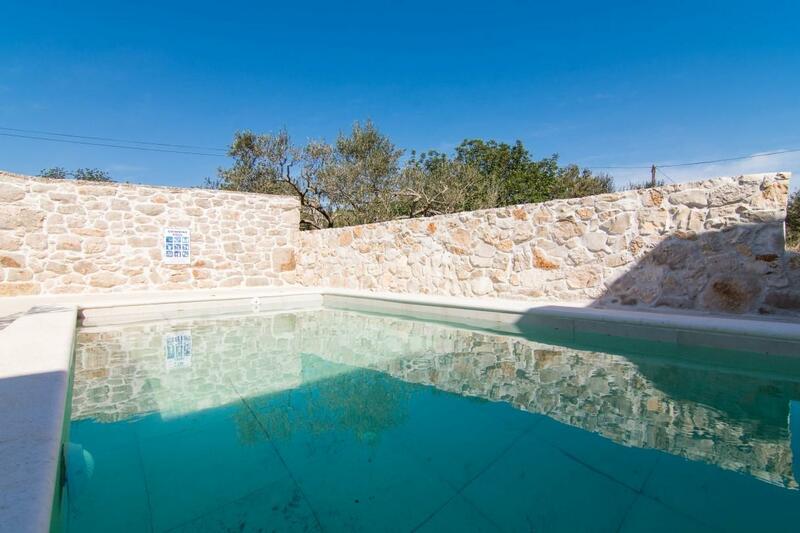 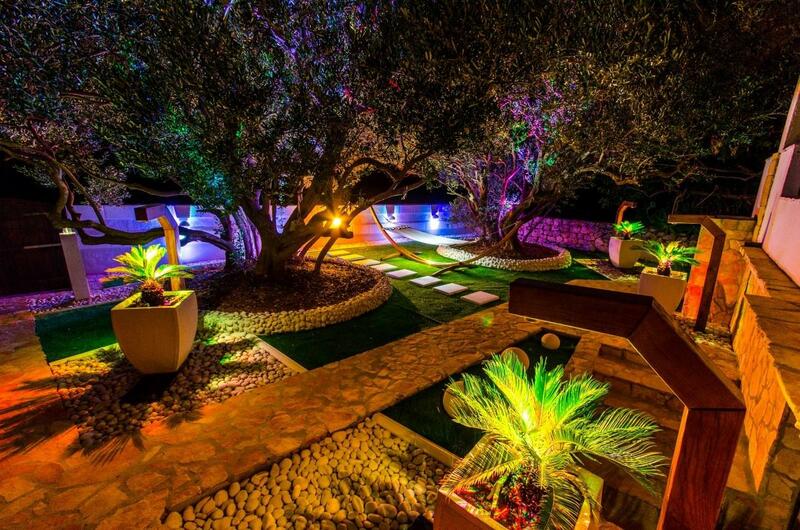 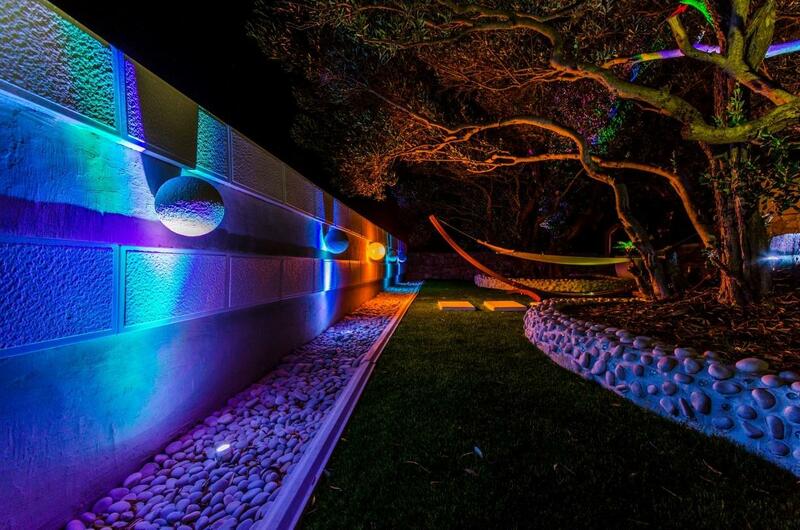 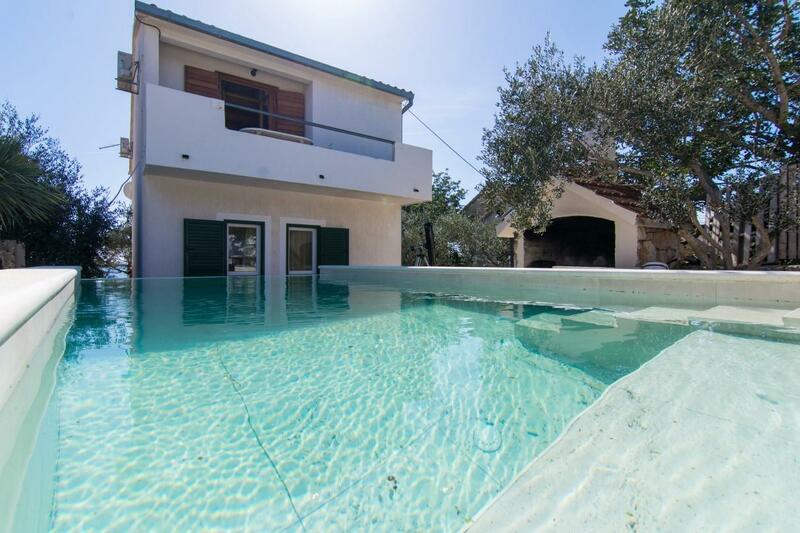 In the exterior of the house there is an 18m2 heated swimming pool, beautifully landscaped garden and private beach. 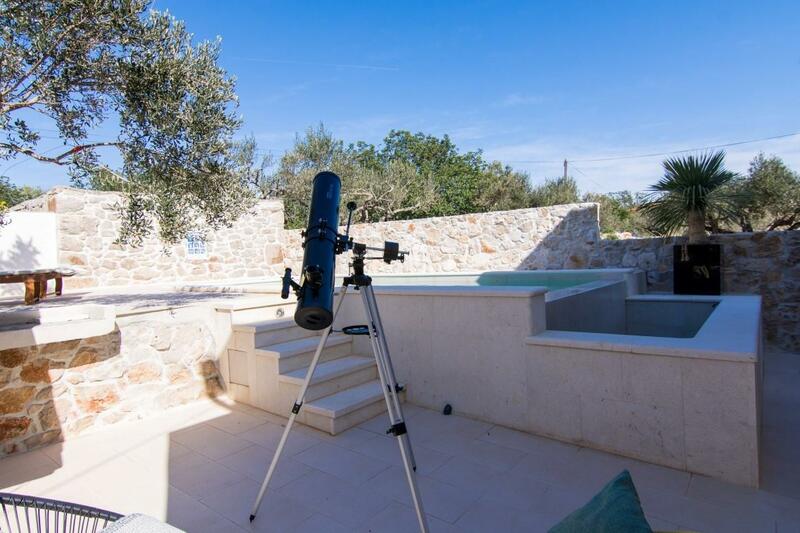 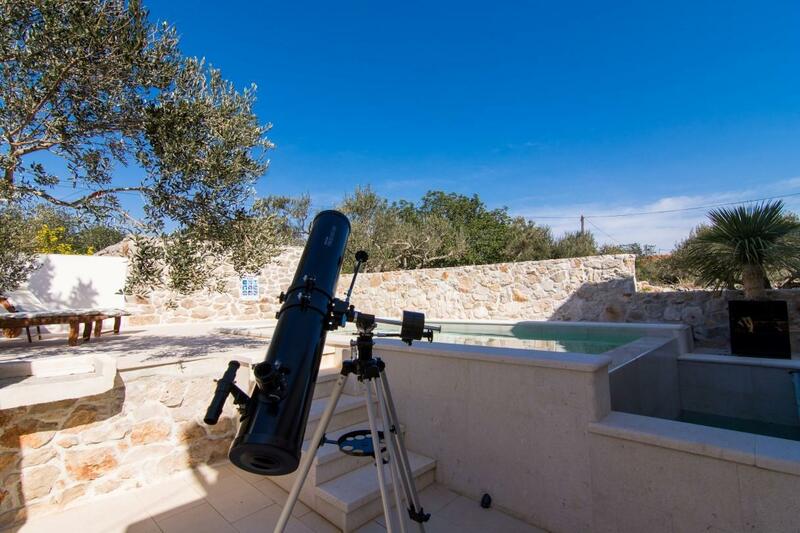 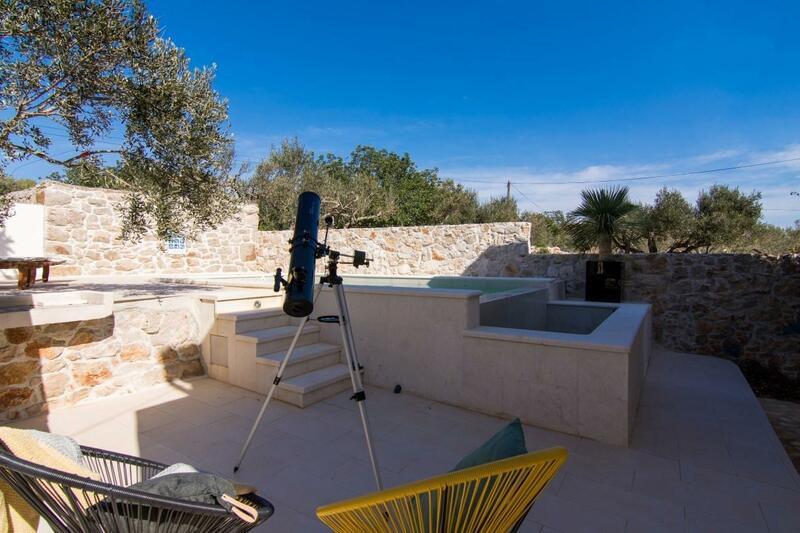 Telescopes and diving equipment are also available to guests. 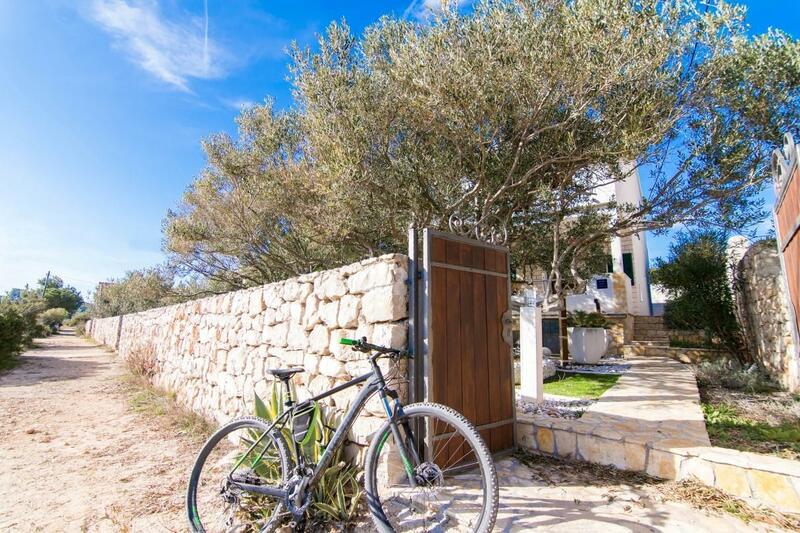 If they want to explore the island, there are bicycles at their disposal. 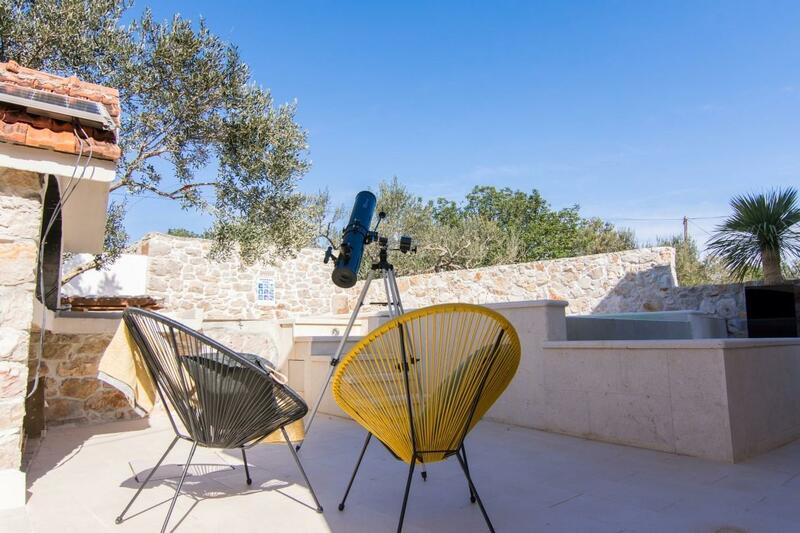 Drinking the first morning coffee at the beach or watching the stars from the sun lounger with the smell of immortelle is an ideal vacation, right? 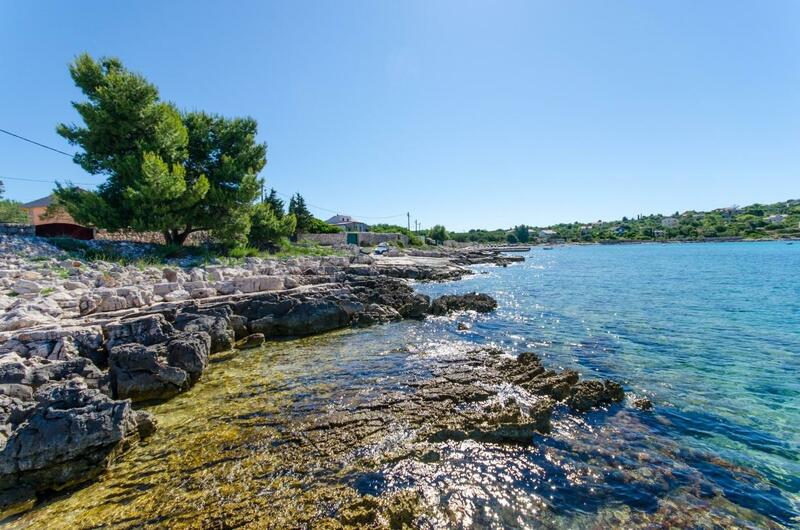 A ferry ride from the island takes 40 min to the historic town of Trogir, which you must visit. 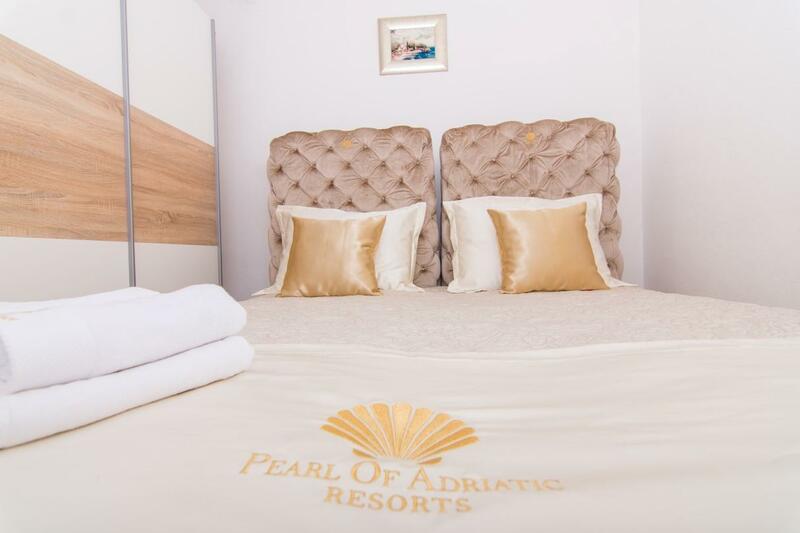 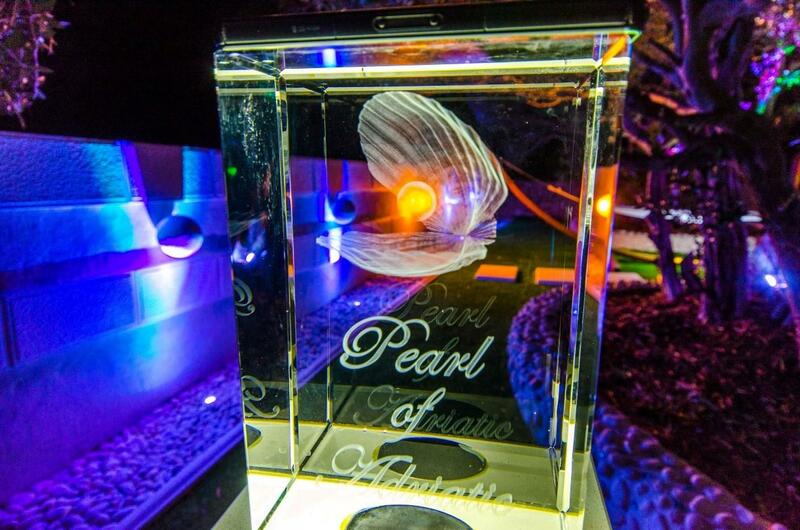 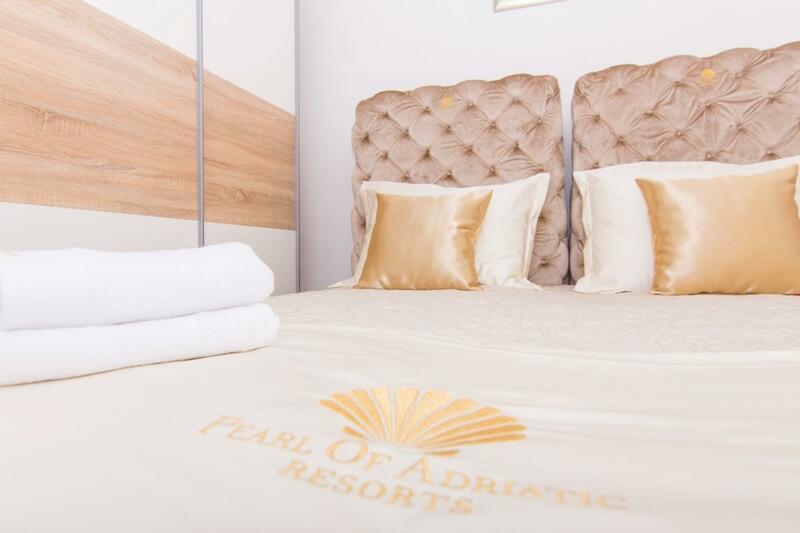 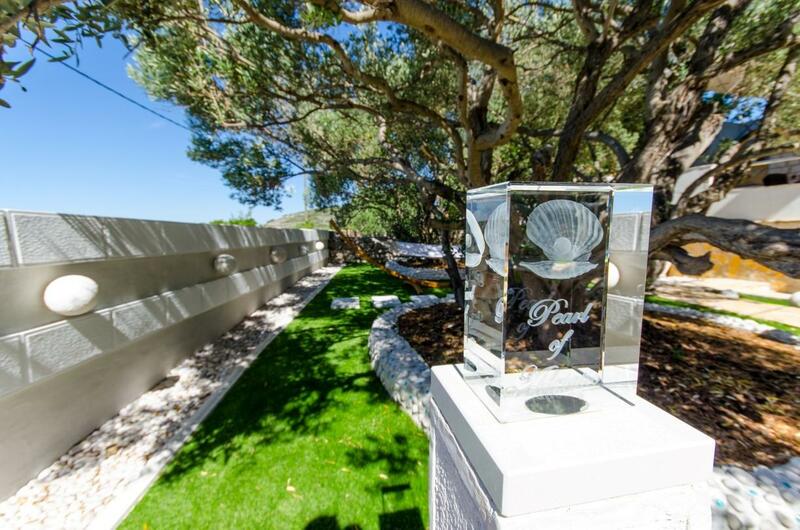 Enjoy the idyllic island and relax in the villa Pearl of Adriatic! 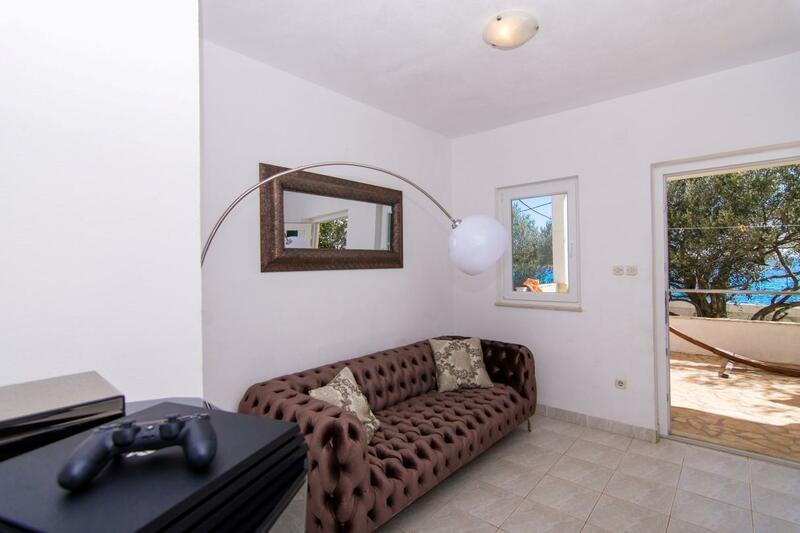 There is sofa bed in living room for 1 additional guest.